Season two of Daredevil has started filming and will be available in April, 2016. Elodie Yung, who preciously appeared in GI Joe: Retaliation and The Girl With The Dragon Tattoo, has been cast to play Elektra (played by Jennifer Garner in the movies). Her appearance was foreshadowed by Foggy during the first season with a reference to a “smokin” Greek girl from Matt’s past. Being released on Netflix makes it much harder to cover shows such as Daredevil in blog posts such as this, with everyone watching at different times, but the first season is highly recommended. While technically taking place in the Marvel cinematic universe, it is a much darker and grittier show, providing more variety in superhero styles. This week’s episode of Hannibal, Dolce, got into Will’s head and ended Hannibal’s stay in Florence. 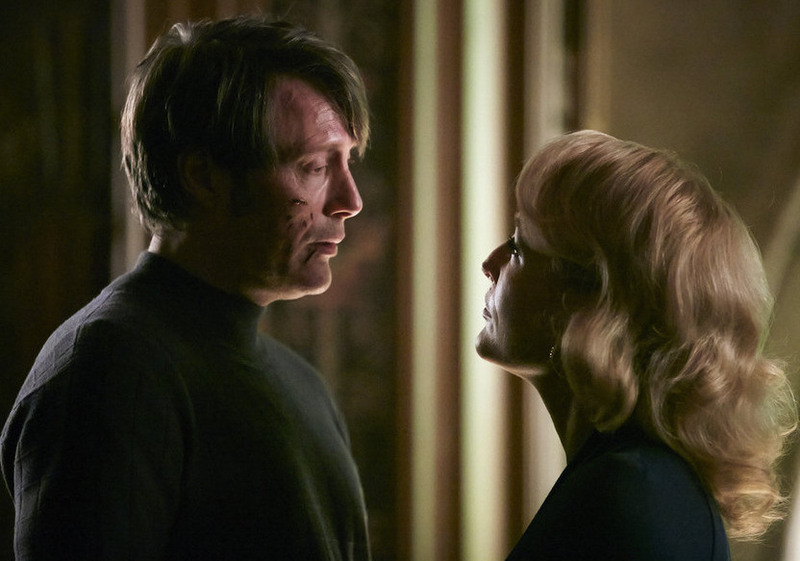 Bedelia told Hannibal, “I knew that you intended to eat me. And I knew that you had no intention of eating me hastily.” She added, “I have not marinated long enough for your tastes,”but also acknowledged, “You may make a meal of me yet.” But the episode ended with both Hannibal and Will slowly being turned into a series of meals for Mason Verger. Both Amazon and Netflix have passed on picking up a fourth season of Hannibal. 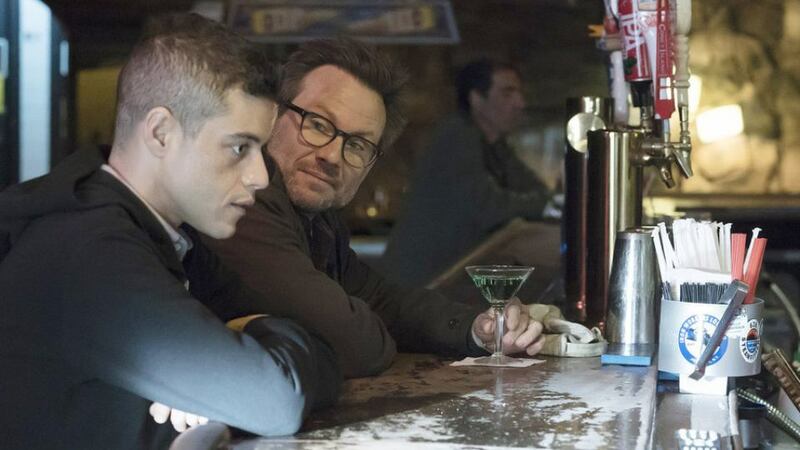 Amazon was considered the best hope as they have rights to the previous seasons ,which also decreased the likelihood that Netflix would be interested. Besides the relatively low ratings, selling the show elsewhere is now complicated by the cast being released from their contracts and Bryan Fuller being committed to work on American Gods. Perhaps they could do periodic episodes when Fuller and key cast members are available similar to what is being done with Sherlock. There is also speculation that Hulu, Yahoo, or a cable network might consider the show. I still think the show belongs on The Food Network. Trailer for the return of The X-Files in January, 2016. The reboot of Twin Peaks is now being delayed until 2017. Entertainment Weekly has teaser promos for season two of Fargo. The third episode of Mr. Robot helped alleviate any fears I had that they might not be able to sustain the quality of the pilot. The episode helped to make some of the characters more rounded characters. Elliot, briefly thinking he was free of FSociety, tried to act more normal. Gideon summed it up with the puzzled question, “Was he drinking Starbucks?” Angela, who previously was “too good for this world” was ready to infect her company’s computers with a virus when threatened by hackers. Shayla moved from drug dealer to girl friend. Tyrell Wellick and his wife are a very bizarre couple. The BBC has summarized what is known about next season’s episodes of Doctor Who. 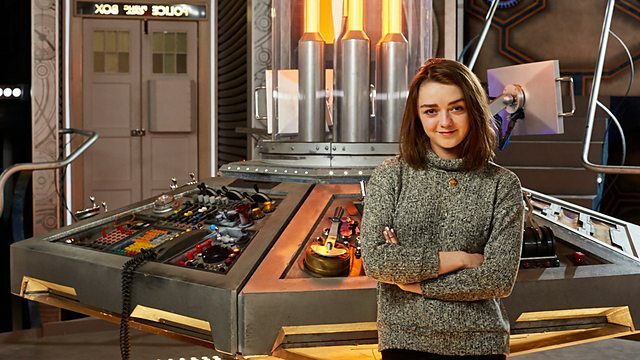 Guest stars include Maisie Williams, who plays Arya Stark on Game of Thrones. She will appear in Episode 5, entitled The Girl Who Died. The trailer for the season was released at Comic Con and it was announced that the season will begin September 19. More news from Comic Con to follow in another post. Posted in Science Fiction, Television. Tags: American Gods, Bryan Fuller, Daredevil, Doctor Who, Fargo, Game of Thrones, Harnnibal, San Diego Comic Con, Science Fiction, Sherlock, The X-Files, Twin Peaks. RSS feed for comments on this post.. TrackBack URL.